Hi everyone. 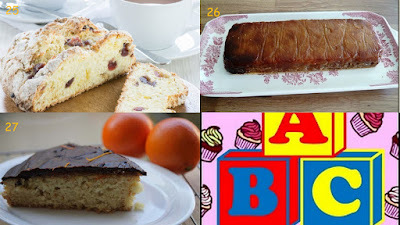 Welcome to the final AlphaBakes round up for now. If you missed the announcement at the beginning of May, we are taking a break from AlphaBakes for a while. We've kept it going for 52 months which is over 4 years and in that time we've managed to run through the alphabet twice! Thank you to everyone who has participated in AlphaBakes through the years and we hope to be back in the future. In the meantime, sit back and relax as we go through the fanfastic final "F" entries for this month. Suelle from Mainly Baking baked a chunky fig, apricot and prune cake. It's a river cottage recipe which she found whilst searching for a recipe with dried figs. It turned out to be a lovely fruit cake with spice and citrus notes. Caroline from Caroline Makes baked Ferrero Rocher cupcakes using Ferrero chocolates that she received from a neighbour at Christmas. 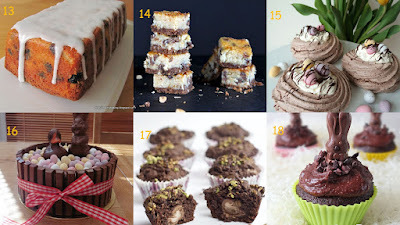 She adapted my recipe (which was also adapted from someone else!) and made a few changes which resulted in a beautiful and delicious cupcake. I love the chocolate shot on top. 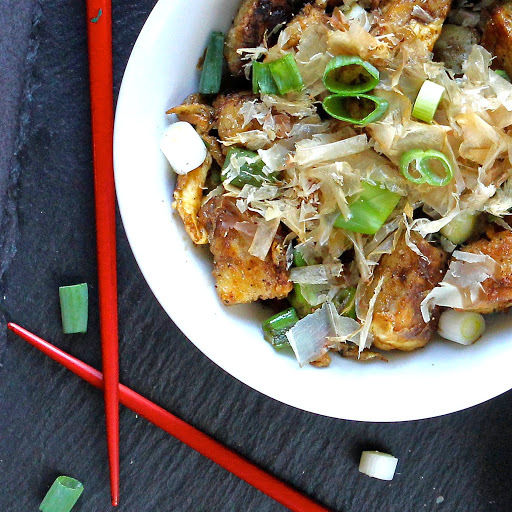 Kate from The Gluten Free Alchemist brings a savoury twist to our round up with a delicious sounding Japanese Fried Tofu with egg, spring onion and bonito flakes. Sadly she is going through a sudden bereavement but has managed to find the time and effort to create a delicious and nutrient packed meal. The recipe is inspired by her time in Japan where she was introduced to a version of this dish by Japanese friends. Caroline from Caroline Makes is back with an M&M chocolate birthday cake. She baked a chocolate birthday cake for her fiance and had an extra layer of cake which she used to create another chocolate cake. It has chocolate buttercream icing and chocolate fingers around the cake and a sea of M&M's on top. I'm pretty sure there were no leftovers from this! 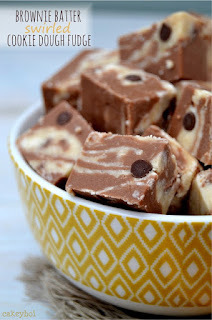 Next is Stuart from Cakeyboi with his Brownie Batter Swirled Cookie Dough Fudge. 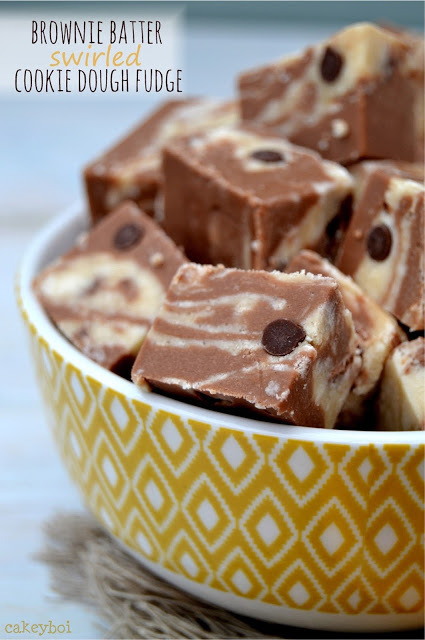 He combined cookie dough fudge with brownie batter fudge and added some chocolate chips just before serving. As you can imagine they are quite rich but I'm pretty sure I'd find it hard to stop at just one of these! Last but not least is my own Chocolate Fudge Cake. It's a Mary Berry recipe and it was quick and simple to put together with great results. The cake was light, moist and chocolatey and the ganache was absolutely divine. That's the end of the "F" round up and AlphaBakes for now. Hope to see you again soon! Hi everyone! Sorry for the long absence. Life has just been crazy lately and I've also lost my baking mojo :( I hope it will come back soon as I do enjoy baking and everyone keeps asking me where's the cake? 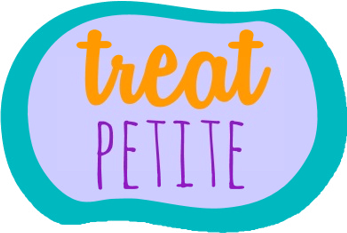 I will however have to step back from blogging for the time being but I hope to come back to it in full swing at a later date. This is a really simple recipe from the Queen of baking, Mary Berry. The letter for this month's AlphaBakes is F so I decided to bake a simple chocolate fudge cake. 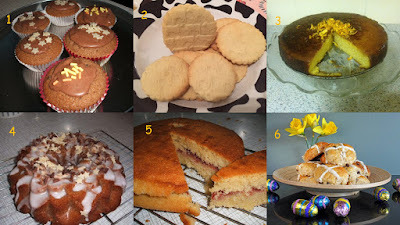 Looking back on my blog, I can't believe I've not baked one before! This is a really quick and simple recipe with great results. The cake was light, moist and chocolatey and the ganache was divine. 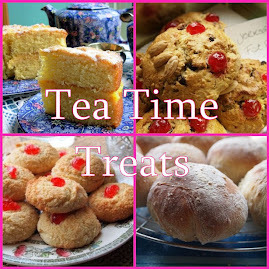 It went down really well at J's office and I'm sure I'll be baking this again in the future. I'm sending this to AlphaBakes hosted by myself this month and co-hosted by Caroline from Caroline Makes. The letter this month is F for Fudge cake. mix all the ingredients together and you're done! I used this recipe which I found online so I won't reproduce it here. Hi everyone and welcome to May's AlphaBakes. This is the last letter of our second run through the alphabet so the letter won't come as a surprise. If you haven't already seen the roundup for April's entries on Caroline's blog then do head on over to check it out. When we started this journey back in Feb 2012 we'd never have imagined the success that we have achieved and we'd like to thank each and everyone of you who have supported us in the AlphaBakes journey. Sadly all good things must come to an end and for various reasons, we have decided not to continue with AlphaBakes for now. 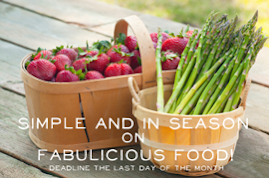 We are still accepting entries for this month which is the letter... "F". Entry is via the linky tool below and if for some reason it's not working then please email alphabakes@gmail.com by 25th May 2016. Please note the linky won't open until May 4th as I'm on holidays but feel free to email your entries and I'll add them when the linky opens. 2. You can use your own RECIPE or someone else's RECIPE . The recipe can be sweet, savoury or a mixture! 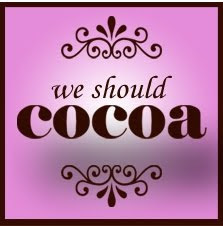 Anything goes as long as the random letter is predominantly featured in the recipe as one of the main ingredients or flavours or in the name of the bake itself (i .e . not as a garnish , or using 'flour' for the letter F!) 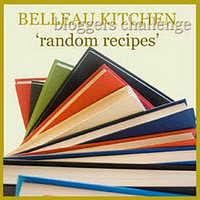 You can also republish old posts/RECIPES but you must include the information for this challenge as stated in these rules. A really quick post today as I'm currently on holidays and will be travelling for the next few weeks. I made this for a colleague's son's birthday. Looking back, I've made his birthday cake for the past 3 years (Bin Weevils, Trash Pack, Football Pinata Cake) and they've always been a huge success. He told his mum that he didn't want a shop bought cake, only a Ros cake! Well how could I disappoint? He initially asked for a playstation 4 cake but my cake decorating skills do not extend that far and I was really pressed for time. Instead I made this chocolate cake and decorated it with Kit Kat fingers, Maltesers, Jelly beans, Smarties and Skittles. He was absolutely delighted with the cake and wrote me a really sweet thank you note which you can see below. 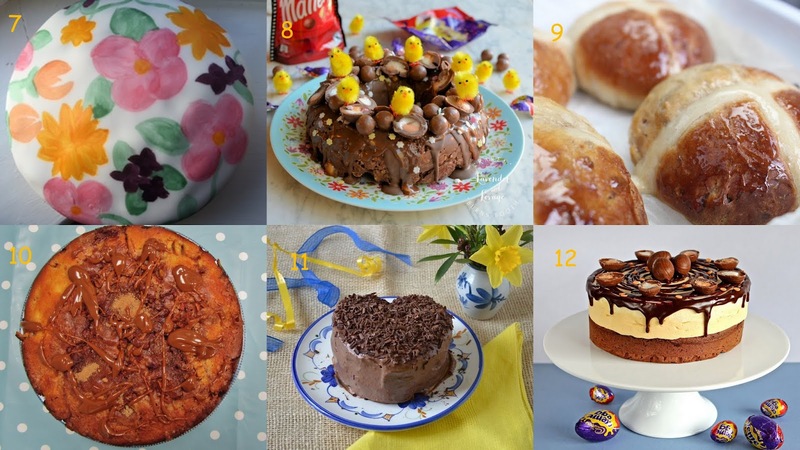 The cake and buttercream is the same as the Chocolate Easter Cake I made earlier this year and the decorations are as simple as they look here. A short blog holiday for now, see you back in mid-May! These cookies are really simple to make yet extremely addictive and delicious. They are really crispy and crunchy and I love the melted toffee crisp inside. I made 2 batches of these as they were just so delicious and we couldn't stop eating them straight from the oven. J and I both took a batch to work and they disappeared in no time! I'm sending these to Treat Petite hosted by Stuart from Cakeyboi and Kat from The Baking Explorer. 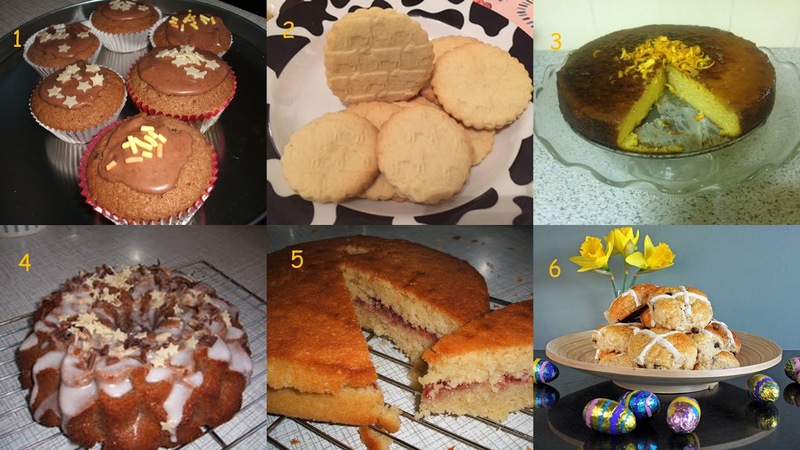 The theme this month is favourite sweets, chocolates and biscuits which was the inspiration for this bake. I love toffee crisp bars and used to eat a lot of it when I was younger. I decided to bake it into a cookie and was really pleased with the result. 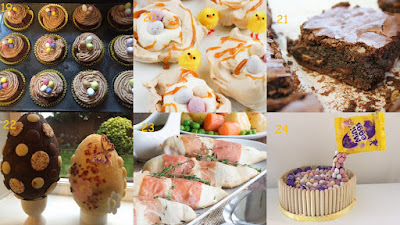 I'm also sending it to AlphaBakes hosted by Caroline from Caroline Makes and myself on alternate months. The letter this month is 'T' for Toffee Crisp. Beat the butter, sugars, egg and vanilla extract together until light and fluffy. Finally add the chopped Toffee Crisp bars. I used an ice cream scoop to place cookie dough evenly spaced on a baking sheet. Alternatively drop heaped tablespoonfuls of dough on to the baking sheet. Bake for 11-13 minutes or until light brown (centre will still be soft). Allow to cool on the sheet for a few minutes before transferring to a wire rack to cool completely. 1. Chocolate Cupcakes by Jacqueline, Caroline's mum.